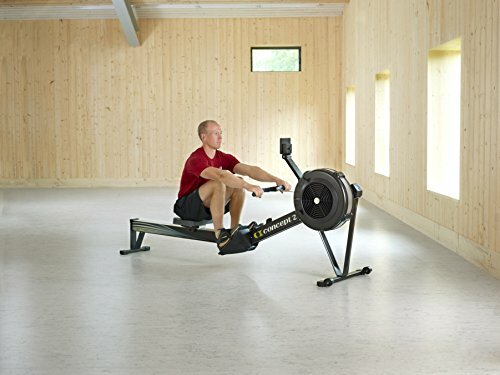 If you’re a regular on the rowing machines in your gym then it’s highly likely that you’ll have access to a rowing machine that either is the same as or very similar to the Concept2 rowing machine. They are used in gyms for good reason – they are top quality, can take a lot of hammer and are good for people who are serious about their workouts. They can also be great to have at home too and if you’re considering getting one here’s my Concept2 model D review – one of the most popular out there. 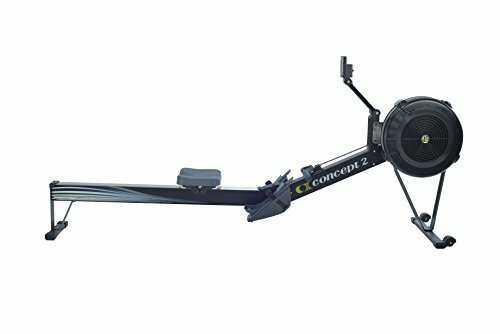 Whether you’re just after a premium indoor rower because you know they’ll last longer than a cheaper model or if you’re into heavy workouts day after day and need a machine to keep up with you the Concept2 D indoor rower is just what you’ll need. It’s a serious machine for serious athletes that’s for sure and if you want to up your game and want to invest in the best quality equipment to help you get there then you’ll find the Concept2 hits the mark. That’s not to say that it isn’t suitable for people who want to work out once or twice a week at home – it’s great for that too and will provide that gym quality workout. Overall it’s a solid piece of equipment that they say will last a lifetime and I’m inclined to agree with them. It’s an investment, but one that will be easy to make if you’re serious about your workouts at home. The PM5 monitor sets this rowing machine apart from many others and certainly way above some of the cheaper options around. You get way more than a cursory count of how many strokes you’ve done and again if you’re serious about your workouts this is the information that you’ll want and need. You’ll get data on distance, speed, pace, calories, and watts and it can be presented to you in a variety of ways from a bar chart to having a pacer. It’s also smartphone friendly which means you can pair it up with your device and it will record your workouts on the specially designed app. If you have a heart rate monitor the monitor is also compatible with those as well. I’ve scoured others reviews to see whether they are similar to mine or not – overall it has really positive reviews and with the price point of this machine I think that’s telling. People who are serious and want a premium machine buy this and they are happy with it. I’ve hardly found any negative points to it – a few people are a little surprised at how big it was so definitely look at the space needed before you purchase. If you’re considering giving up the gym but want to create your own top notch home workout area then this is a great item to include. It is an investment, but one that will be recouped quickly with no costly gym memberships. It’s great for cardio workouts and especially if you have plans to be serious about your workouts and require a premium machine to facilitate that. One of my favourites!